Would be great to have this book. I am so happy with my copics. Try other pencils etc, but I love my copics most :)). This book would be wonderful to have, as a newbie to copics. Would be great to have this book to improve my skills. 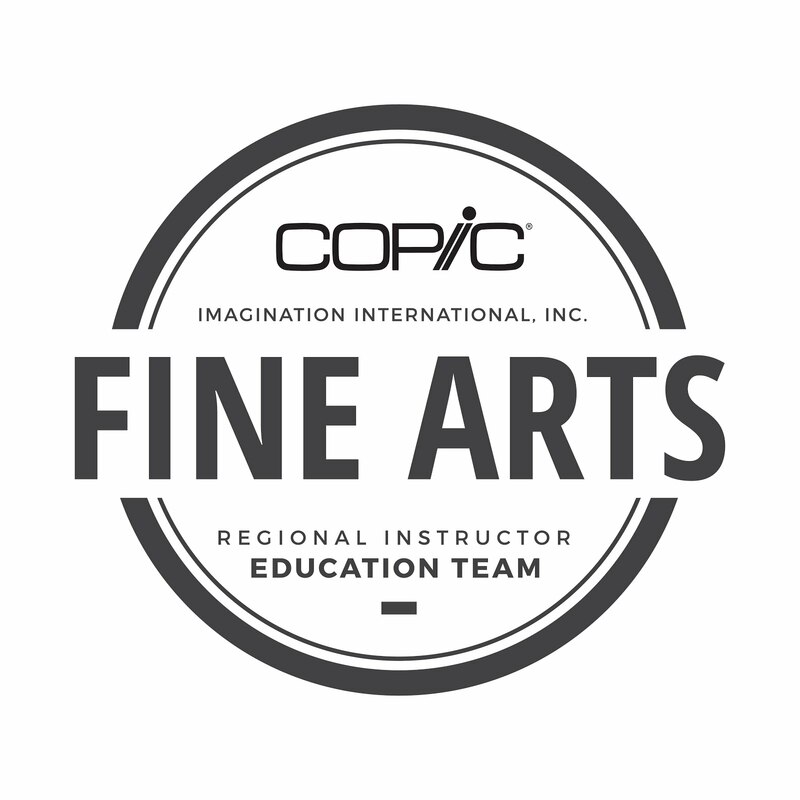 Would LOVE to win this fabulous autographed Copic resource as I truly NEED it!!! Would love to win this book - could really use the help! I would love to have this book! Thanks for the chance to win one. Can't tell you how much I have learned from the first pub and how excited I am that you have published a second one. From all the sneak peaks I know this one will really help enhance my copic abilities. So thank you for all your hard work in putting another vol. together for us and for the chance to possibly win a copy. This would be a wonderful guide for me as I would love to learn more on how to paint with nature. I would love a copy of this book, especially if you are autographing it. You are the bees knees in copic coloring! Thank you for the chance to win! Thanks so much for this new book and the chance to win my own signed copy. You're fabulous! Congrats on the book. Your talent is over the top. You and Colleen make such a great team. Thank you for opportunity of winning this book. My Copics are my fave! Still very much learning how to use them. I'm sure this book could help! I can only dream of being able to color like the amazing design team. This book would be a great help! Thanks for the chance to win.I'd love to be able to work on my skills. My skills so need work..to be able to learn from the best is an amazing opportunity. I would love a chance to win a copy of the book! I need more lessons with my Copics. Thanks so much for the chance to win! Marianne!!! You are so talented and always an inspiration to all of us!!! I´m learning a lot in your blog!! Thank you so much for the chance to win. I have the 1st book and am still very new to using Copic markers would love the 2nd book so I can learn even more. Marianne, I was privileged to take the class at CHA from you and Sherrie. I can hardly wait to get this book for more inspiration...better yet, win it! Thanks for the opportunity! Thanks for this great change, fingers crossed now. I really enjoyed the hop. I can't wait to get a look at this book to learn some new Copic techniques. I just found you and I will probably spend the next week camped out at your blog just trying to absorb all your previous posts and the information in them. I have just started purchasing copics. I would love to win this book! A huge congrats on the release of your new book, Marianne! I'm already waiting for the next one! LOL! Thanks so much for an amazing hop and for a fun chance to win an autographed copy. After the first book, I've got to add this one to my collection. Your coloring is always so amazing. I'd love to win it, but if I don't it will find it's way into my library anyway. Thanks for a chance to win. I would love to win this and be able to colour half as well as those on this hop. Thank you for the chance. What a great prize, and to have it autographed by you morphs it to a fantastic prize! Would love to have a copy of this fabulous book. Ooh, loved the first book and can't wait to purchase this new one! Thanks for the chance to win it! The first book was great and I cannot wait to get this one. Thanx for the chance to win and for all of the inspiration! The first book was wonderful, and I learned so much, but I need to learn so much more!! Thanks for the chance to win a copy! Super excited to see the book! Can't wait to pick up some new ideas and techniques to try out. Oh I would love to win this book! I have the first one and it has been really helpful. SO glad to hear about this new book!!!! I really love all your art and tutorials!! I'm always following them with the very limited copic markers I have, but they're very easy to follow(: I would be delighted to receive the book!! Wow. I would love to have this book. I have the first book and have learned so many things from it. Copcics are my only medium that I use and I love them. So excited for the new book. I love the way you explain the techniques! I have the first book, so needless to say I need this one also! Sure hope I can win one of them! I have a whole shelf dedicated to these two books, as well as the shadow one from a while back. So, please start on Version3 with some cool copies of your artwork to color!!! Love it all! What a great giveaway. I would love to win this book. What a great HOP. Thank you ever so much. I would love the opportunity to win this book and expand my skills. love ur blog too...the tips are really very helpful for newcomers like me...hope to win the book so that i can learn the techniques better ! thanks a lot ..
Have a great week. Loved all the girls projects, was such a pleasure to visit them all, I hope some day to be as talented as you all.!!! Love your coloring! It would be great to win a signed copy of your book. Thank you so much for this opportunity to win a copy of this book, I have the first one and use it alot!!! I would love to win this book - I'm enjoying my copics but would love to expand! Thank you. LOVE LOVE LOVE my COPICS and would love a chance to win. Can't wait to get my hands on the second book; the first was so helpful. Can't wait to see the new book in person! Looks terrific! I can use some tips on coloring and shading! Thanks for the chance to win a copy! Thank you for the chance to win this fabulous book. It would be great to win this book! I am just starting on my Copic adventure and am looking for some great ideas!! ongrats can't wait to get a copy for myself. I'm a copics newbie and would definitely love a copy of that book! I would LOVE this! I'm a newbie to Copics, but love what I've played with so far. Thanks for the opportunity to win your new book! I have the first and love it! The first book was outstanding! I would love to win this one. Thanks for the chance! You guys rock! This would be a wonderful edition to my art books library. One can never have enough art technique books! Thanks for the chance to win! I need this book - I am a beginner, but practicing hard. A little expert help would be helpful. Thanks for the chance to win! I would love to get my inky fingers on this book! Can't wait to see this one - the other two are so awesome and helpful! Looks Like a great book to have on hand. I wouldn't mind having this in my collection. Would love to win this book. Thanks for the chance! What a wonderful help this book will be to those of us, shall we say...less talented :-). So hoping that I win a copy! I am so happy you got this nO. 2 out... I have no. 1 and love it. I also have shadow book and learned quite a lot with it. thank you for inspiration. Hugs. and of course, a chance to win. !! Would really love a copy of this book. I need lots of help! I would love to win a copy of this. I need to learn how to do more with my copics. I would be thrilled to win a copy of this book from you! I love the horses at the head of your bog, they're stunning! I would love to win your new book. Thanks for the opportunity! I love your card - so is your coloring! I love Copic and need to learn more :) Thanks for the chance to win! Would love to win an autographed copy of the book! 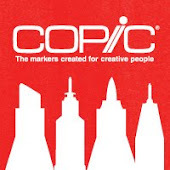 I always admire your work so much - you have contributed so much to the Copic world! Thank you for the opportunity to win this book - I need to learn so much more about using my markers. What a wonderful giveaway. Love your blog. Will be back again and again. Thanks for the chance to win your book. IF I don't win it - I'll have to buy it - looks great! I would love to win this book! Looks like it would teach me a lot!! I am fairly new to colouring and have found you blog so helpful. Thanks so much for the chance to win your fantastic book. Congrats on another fabulous project. I have learned so much about coloring with copics from your web site and your previous publications. I'd love to win this latest book and learn even more. WOW what I would love to win this book. . . love the first one, it has great helpful hints. Thank you for making another book!!! Fingers crossed to be a winner!!!! I discovered Copics in the fall and love them! It quickly turned into an addiction! :) I love the first book and as a biology professor, would love to be able to learn to use them for nature images! Just starting out, would love to win. Congrats on the book! Thanks for the opportunity to win it! The first book was great. Thanks for the chance to win this one. I would love to win a copy of this book, it looks fantastic if the images the DT team have shown are anything to go by. Love your contribution. Oh, wouldn't it be lovely to win this book. I'm very new to stamping and card crafting and I've just bought my first copics. So, I'm in a desperate need of a book about how to use them. Maybe this time I'll be lucky... Thanks for the chance! Thanks for putting together such a wonderful teaching tool! I would love to own a copy. Thanks so much for the chance to win, and for all your wonderful tutorials here on your blog! Thanks so very much for putting together another book to help teach us how to use our copics to the fullest!!! I am so grateful for the chance to win! I would love to have this book! Thanks for a chance to win a copy! So many great ideas here - I'd love the book to learn more. Your work is wonderful!! Thanks for all of the great tuts!!! Love your blog header. Congratulations to you and Colleen. You have assembled some talented gals who have done a bang up job. Thanks for the opportunity to win. Congratulations on your newest book!! 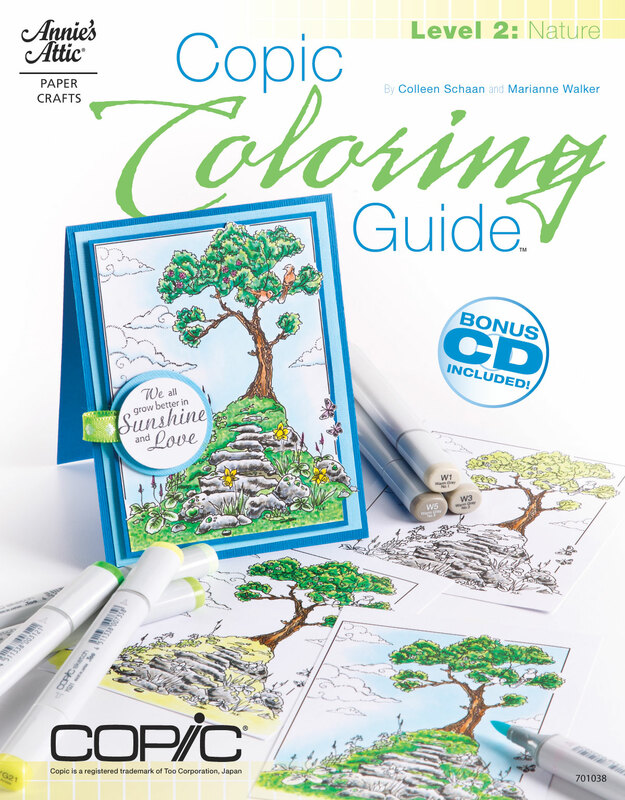 Since I have the first book in the Copic Coloring Guide series, I know I will love and need this latest one. I'd love to win your autographed copy. Thanks for the chance to win. Oh my goodness, i would LOVE an autographed copy of your book! I really love copics, and i'm still learning so this book would be a great boost to my skills. Congrats to you as well on the release of your book :) and thank you so much for the chance to win!!! I love your coloring and Colleen too! I would love to win a copy!! That would really make my day! Your work is always an inspiration and I learn something every time I visit your blog. This book looks wonderful and since I am follower of all the artists know the work will be exceptional. I will be crossing my fingers that you draw my name! Your work amazes me...I refer to you in all my classes about "doing a marianne", or as you might say stepping out of the box with your shadow colors. My hat is off to you! When in PHX if you need an extra warm body to assist during Intermediate feel free to holler. Congrats on the book success! I am using the first book so the second book will be great to have to continue learning more abiout Copics. Would love to win this! I would LOVE to be the winner; so much inspiration! Oh I would love an autograph copy of the book. I really really NEED and WANT the book of course too . I love my copics! Love all you guys! Thanks so much for putting together this book for us all! Marianne, Congratulations on your 2nd publications! I would be honored if I won your signed copy of this amazing book! It would look WONDERFUL in my craft room beside my Level 1 copy! Congrats on another amazing publication! Your talent with markers has inspired me since I first started! Would love the chance to win! Thanks! Thanks for the opportunity to win the new book! I would love to win this copy, as I just purchased the electonic copy from Annies Attic, as I needed to have it instantly, however, i am disappointed as I am not able to access the drawn images in order to print them on my copic paper... ive tried to contact annies attic but still no luck.. I am a sad camper as I have copics in hand and want to start to practice... I just love the bookl and all the inspriration. Marianne - How exciting to see that the new book is out! Your artwork, lessons, tips, etc. are an endless source of inspiration for so many of us. Thanks for the opportunity to win Level 2! Thank you so much for a chance to win a copy of the book. Have a great day!!! WOW-- a chance to win this outstanding book--and a signed copy too! Great cards on your blog--thanks for the inspiration! And, thanks for the opportunity to win! So exciting to have a new book to learn from! I'm so glad you came out with a second book. There is so much to learn about Copics and it is great to see more examples. I'm so excited about this book! I love your books, Marianne! I would love the chance to win this book!! I have the first book and refer to it often can't wait to have this book!! Marianne - thanks so much for the wonderful opportunity and the great artwork of all the team. Such inspiration! Your coloring is surberb, and it's always a pleasure to see your posts! Would love to have a signed copy of the book...thanks for the chance to win one!!! You have a new follower now :) Thanks for the chance to win! WOW!! I can't wait to get this book!! Your hard work has paid off. Congratulations on publishing this incredible book. I really want one now after seeing all the amazing creations on this blog hop. It is full of wonderful talent and inspiration. Thank you so much for sharing and for the chance to win a copy. Would love to win so I can learn to color better. Thanks for the chance. Thanks for the chance to win! Would be hreat to have as a reference to get more use out of my Copics! I can't wait to see this new book! I know it will have a ton of information that I can go back and pull from over and over and over. I've learned so much from your blog and the first book, I hope to win the second! I have your first , and I would love the second too. Thanks. Marianne, I just bought a copy of your book Shadowing & Shading and would love to have a copy of your Copic Coloring Guide: Level 2.
hi marianne thank you so much for all the great information you publish about copics! i ahve learned so much already! Would love to win an autographed copy of the new book! 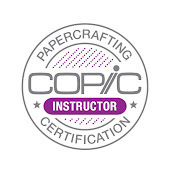 Looking forward to the Phoenix certification classes. I would love to think I could learn to color as well as the gals who are represented in this manual! Your work is amazing! Congrats on the new book. I'm still learning with my copics and would love to have this as an inspiration and learning tool. Was awesome to meet you in the big ATL this past December...I learned a lot, and would love to enhance my copic abilities with you excellent instructing techniques!!! You are AWESOME!!!! Congrats on publishing another book! Thank you for the chance to win! I am loving your horses and the chance to win the Copic 2 book! Thanks you. I've just started buying Copic markers and could certainly use the guidance provided by this wonderful book. Marianne - I heard so much about you and how uber-talented you are from Lori Craig when I had a chance to take a copic design class from her a couple of weeks ago. I hope I get to win a book because I can't wait to see all the tips and techniques that are detailed. thanks! got my notice today mine is on its way!!! I bought both books last week. I can't wait to start learning all of the cool tips and lessons in them. I have acquired a collection of Copics which have sat unloved for far too long. Looks awesome. The cover is fantastic and I've been through your blog for couple other quick tutorials. Especially the Owl-tutorial was superb.